SEO allows you to show up in search results without paying for advertising space. Search Engine Optimisation is the one digital channel, that will – if done right – save you long-term investment and enables you to own space on organic Search Engine Results Pages (SERPs). A sustainable SEO strategy consists of the right combination of SEO measures in the right space and priority. In order to avoid potential pitfalls by blindly investing in one (or all) SEO channels, we have developed an intuitive process. We will present you with a well-balanced SEO strategy that is designed to support your businesses KPIs – whether they are traffic, lead generation, ecommerce conversions or brand awareness. 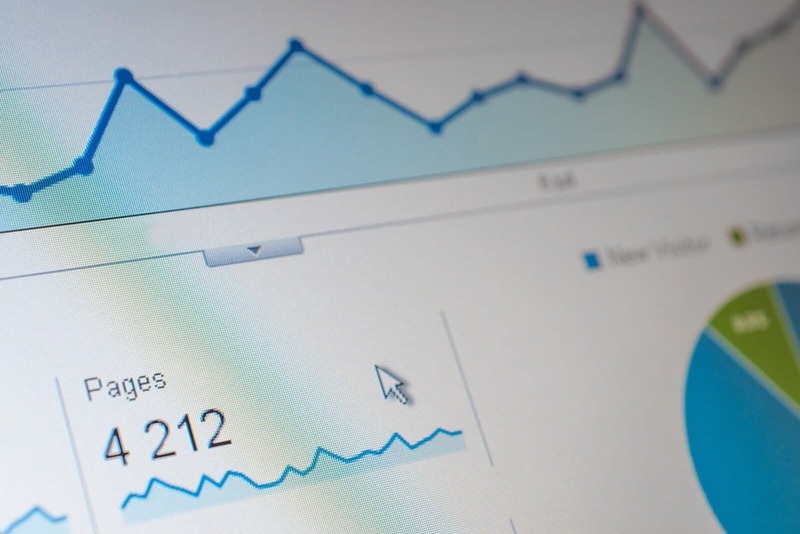 If you’re new to SEO or just undecided which SEO measures have the biggest traffic potential for you, conducting an SEO audit can give you the clarity you need in order to decide on the most effective SEO services. SEO audits give you an overview of where your website may be falling down in achieving the best possible ranking on search engines. Furthermore, an SEO audit can inform the way you choose to proceed with your website. It may be that you have a high click-through rate but also a high bounce rate, which means your user isn’t seeing what they expected from your search result. Rather than getting lost in endless metrics, your audit will provide you with actionable insight on where to start in order to see better results. You might be able to get a lot more out of your existing website than you think. Technical SEO, compared to ‘On-Page SEO’, addresses all the ranking factors that are hiding behind the scenes, meaning those that are hidden in the code and mostly not visible when looking at a website. Once we have a closer look at a website’s technical SEO set-up, we’re often able to uncover missed potential on the technical SEO side. This can be your website’s infrastructure, elements in the code, or duplications. – who all together can provide the site with an uplift that will result in increased rankings and traffic. 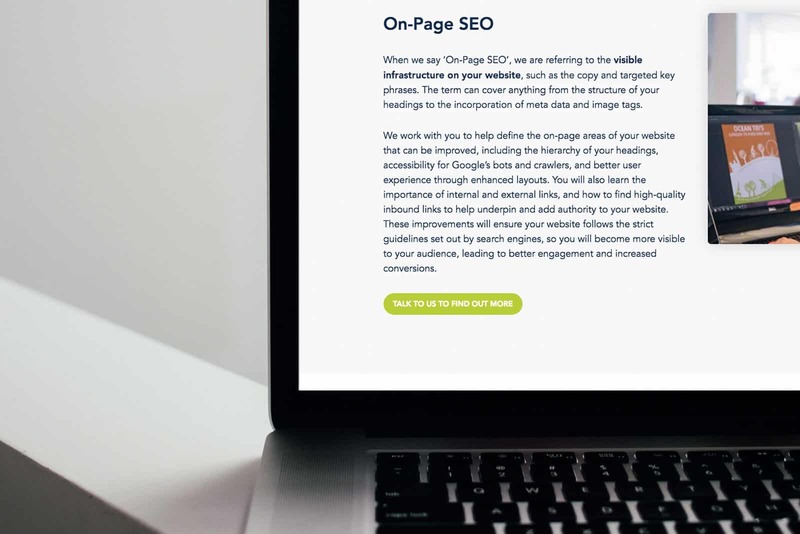 When we say ‘On-Page SEO’, we are referring to the visible infrastructure on your website, such as the copy and targeted key phrases. The term can cover anything from the structure of your headings to the incorporation of meta data and image tags. We work with you to help define the on-page areas of your website that can be improved, including the hierarchy of your headings, accessibility for Google’s bots and crawlers, and better user experience through enhanced layouts. 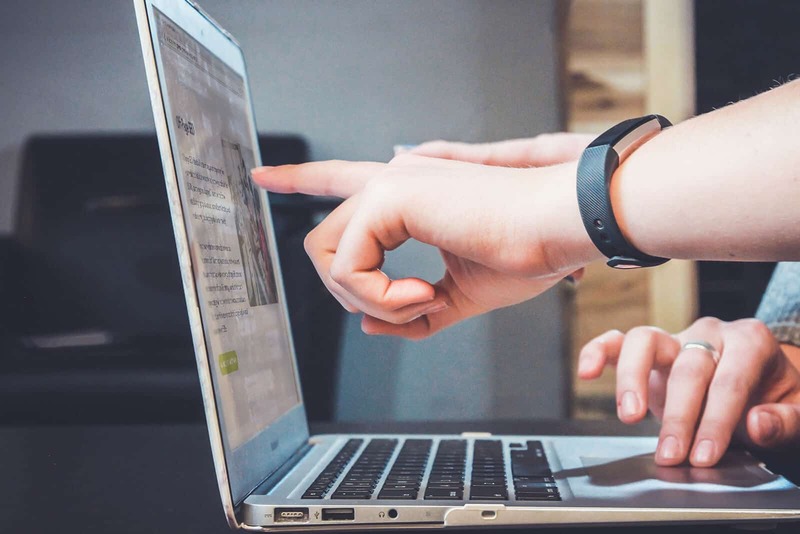 You will also learn the importance of internal and external links, and how to find high-quality inbound links to help underpin and add authority to your website. These improvements will ensure your website follows the strict guidelines set out by search engines. Content SEO, or also ‘SEO Content’ refers to your website’s copy and imagery that’s recognised by the search engines. Your content needs to be relevant to your business as well as adhering to Google’s rules and your audience’s search behaviour. Content is one of the most important factors in catching the search engines’ attention and engaging your audience. You can optimise all types of content to be more visible on search engines and using the right keywords can ensure it ends up in front of your demographic. We can help you glean insight into how your content performs, what types of content work better for your audience and KPIs and where it should be positioned. We conduct comprehensive keyword research which shows you how to utilise your resources to create regular, on-brand, interesting content that drives organic traffic. Off-page SEO refers to all the techniques you can employ away from your website to help it perform better and improve your position in the SERPs (search engine results pages). This can be in the form of establishing high quality inbound links via Content Marketing, social media activity, guest blogging and influencer marketing. Think of every reference to your website in the web as a ‘recommendation’. Search engines are intuitive, and they learn what the world thinks of your website from your off-page SEO techniques, so ensuring your off-page SEO strategy is consistent with your on-page strategy will help give your site more exposure and relevance. This, in turn, will increase your position in Google’s PageRank as well as your rank on SERPs. When building a new website or upgrading your existing e-commerce platform to Magento 2, the right SEO focus will not just ensure your website’s performance remains consistent; by smartly utilising Magento’s SEO features, you can benefit from both, organic improvements and a robust platform for your business. When hosting your website with Magento, the site’s organic visibility can benefit from Magento’s own smart SEO extensions and plugins. Our tech team will make sure your Magento site is making use of the platform’s full spectrum of SEO optimisation, is tailored to your specific objectives and supports your KPIs. This way you will get the very best out of your e-commerce platform, helping your business to cover new and more relevant ground.